Admittedly a high-end audio setup may not be the romantic gift people think of in come Valentine’s day. On the other hand, isn’t it romantic to listen to Etta James’ At Last on the right 2-channel audio system with your significant other? Music has a way of invoking great memories and igniting emotions. Listening to it on a great audio system makes it an experience in your Westchester County home. If your partner loves music, you should make sure they get to have a great sound system at least once in their life. 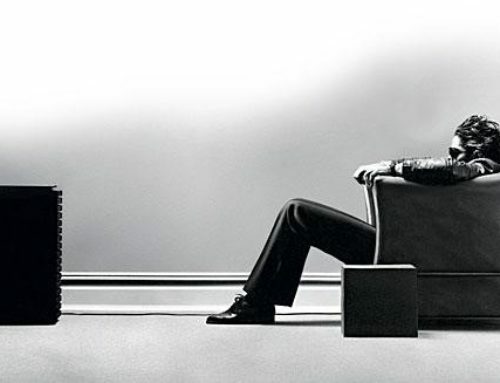 The beauty of high-end audio systems is that they are timeless. Great speakers stay great speakers for many years. High-quality preamps and amplifiers also last a long time. Even if technology advances digital features, just add a new digital component. The gift of high-end audio can be the gift that keeps on giving all year round. So if it didn’t happen this Valentine’s Day, the year is still young. Read on for gift ideas for the audiophile in your life – and if it happens to be you, we won’t tell. Some people love music, but they don’t want too much equipment. Perhaps they veer to the minimalist side. For those music aficionados, McIntosh has the perfect solution – the MTI100 integrated turntable. 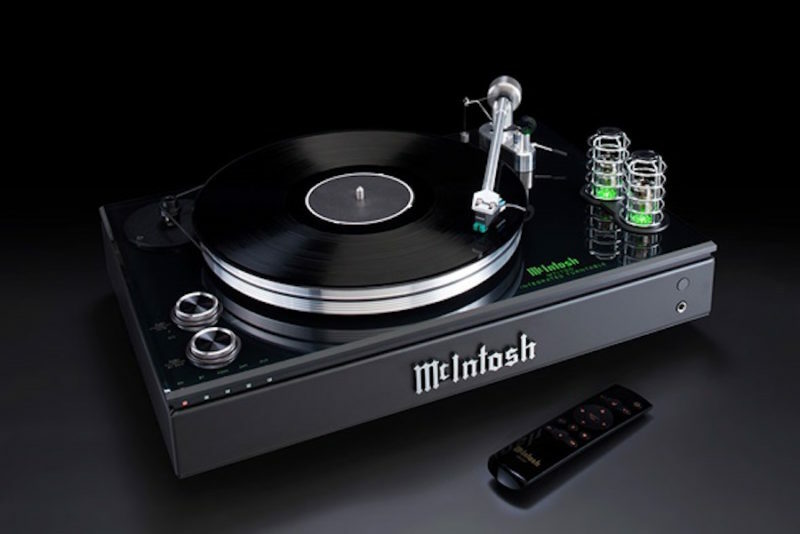 McIntosh Labs has been a celebrated name in American audio for 60 years, and collectors prize used equipment decades old. The MTI100, however, is a very modern piece of audio equipment. To start, it is a belt-driven turntable with a hefty 7-pound platter. But it is also a self-contained preamp and amplifier, incorporating the best of old and new technology. The preamp is powered by vacuum tubes, whose sweet sound signature is prized by audiophiles. The amplifier section has modern class-D amplifiers, which can drive even 4-Ohm speakers with 80 watts. But there’s more, as the MTI100 also has built-in Bluetooth so you can stream audio from any Bluetooth source like a tablet or smartphone. Finally, it can accommodate analog and digital sources such as a TV or Blu-ray player. The only thing you need to add is the speakers. The MTI100 has McIntosh’s retro design vibe and is a piece anyone would want to show off in any room. Speaking of speakers, a perfect complement to the McIntosh MTI100 would be Kef’s award-winning LS50 compact monitors, finished in a matching gloss black – or maybe a contrasting gloss white. The LS50s play much bigger and louder than their rather diminutive size would suggest. They incorporate some of the cutting edge technology KEF first used on their flagship $30,000 Blade speaker. While the Kef’s soundstage and imaging are superb, if your significant other is big on bass, you can add Kef’s Kube8B compact subwoofer – yes, the MTI100 can accommodate a sub too. If you really want to go all out for your loved one, this combination might just blow him or her away. Start with the Mark Levinson No. 585.5 integrated amplifier. The No. 585.5 may the last integrated amp anyone would need to have. It features 200 watts/channel, plenty of analog and digital inputs including USB, and a high-performance 32-bit/192khz digital to analog (DAC) converter capable of superb reproduction of high-resolution music sources. The meticulous, robust construction boasts isolated analog and digital sections and weighs 74 pounds. To complete the source, add the No. 519 digital audio player, which is a digital music hub combining internet music streaming, a CD player, Bluetooth connectivity, and playback from networked music libraries. What speaker do you pair with such a high-quality setup? There are many, but another line from Harman – which owns Mark Levinson – is an excellent choice. Revel speakers are renowned in audio circles for incredible performance and great value. The Salon2 4-way towers, part of the top-end Ultima2 line, would be a perfect complement to the powerful Mark Levinson system. With exotic titanium woofer cones and Beryllium tweeters, the multiple award-winning Salon2s are some of the best tower speakers you can buy. Of course, aside from these suggestions, Entertainment Technology carries many other high-end audio brands. 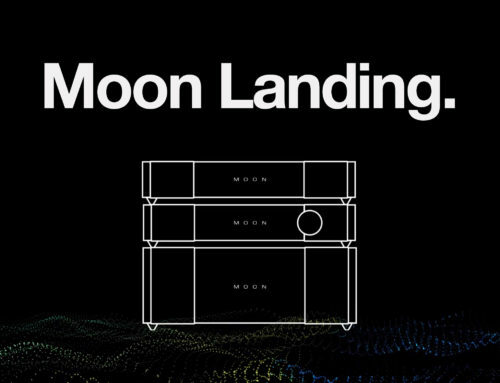 Visit our Mount Kisco showroom and let us show you what great audio sounds like. Give us a call or fill out our online contact form to schedule an appointment with one of our audio experts.